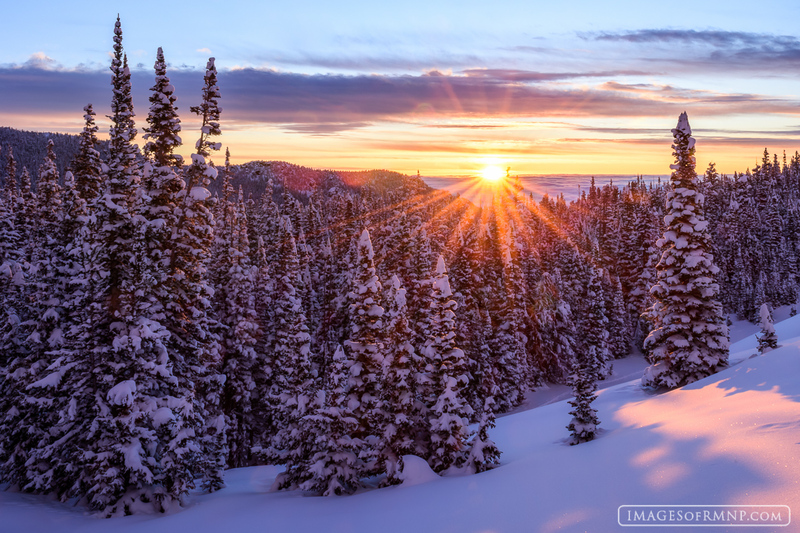 The sun finally arises following a large spring snowstorm which covered the mountains in over two feet of fresh white powder. As the sun rises above the distant clouds it comes with warmth and hope reminding us that the storms of life will not have the final word. Photo © copyright by Erik Stensland.